Hello, I'm Gregor and I put this site together. 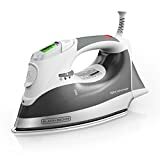 At first, you'll find an overview of recommended steam irons for clothes, followed by a public poll and a general buying guide on steam irons for clothes. Further down on this page, we do link to other well-written articles and reviews about steam irons for clothes. At last, you'll be able to weight in your own opinion in the comments section. 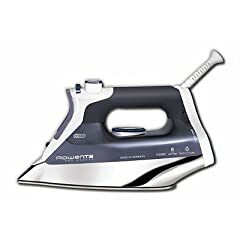 If you also want to vote on the best steam irons for clothes, click here to view the poll. 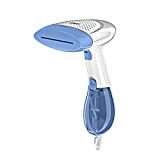 A steam iron is a basic appliance in most homes, but choosing which one to buy can be confusing. There are a number of different features to consider, and you need to know which ones matter for the kind of ironing you do. 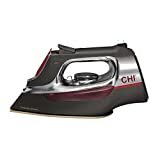 If you’re looking for an iron for occasional touchups of permanent press fabrics, you can get by with a less sophisticated model with fewer features. If you regularly press tailored clothing made of cotton, linen or wool, a more full-featured steam iron is ideal. Check the following list of steam iron options, and identify what you want before you shop. 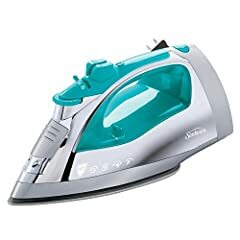 Steam irons are made of some combination of plastic and metal. The flat surface that contacts the fabric, called the sole plate, may be steel, aluminum or ceramic. The more metal an iron contains, the heavier it will be. 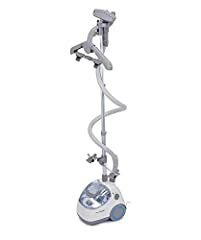 The biggest advantage to a heavier steam iron is that its weight will do some of the work for you. With a light iron, you have to press down harder to get good results; a heavier iron doesn’t require any extra pressure. If you sew or make craft projects that use fusible interfacing or webbing, a heavy iron gives you a better result with less effort. Professional-grade irons are heavy, so the closer you are to needing that level of product, the more you will want a heavier iron. The heaviest models weight just under 4 pounds. 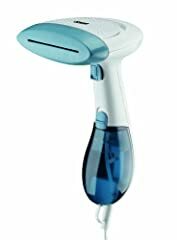 Lighter steam irons are usually at the lower end of the price range and may weigh as little as 2 pounds. They’re fine for occasional pressing, and they’re a good choice for anyone who has weakness in their hands or arms. 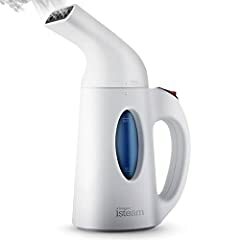 There is a wide range of sizes of water reservoirs on different models of steam irons. Some hold as much as 10 ounces of water; others hold much less. The larger the tank, the longer the iron can produce steam before it needs a refill. If you only use your iron when you notice that your shirt needs a quick press before you dress for work, you won’t need a large reservoir. On the other hand, if you tend to iron several things in one session, a large tank cuts the frustration of having to stop to add water. If you look at the sole plate of several models of irons, you’ll notice that they differ in the number of holes they have. The more holes, the more evenly the steam will be dispersed over the fabric. The purpose of a steam iron is to produce steam. 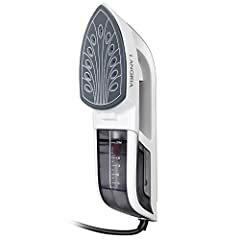 Look for an iron that has a range of steam settings, so you can control the output. Cotton, linen and wool can take heavy steam while synthetics usually need much less. 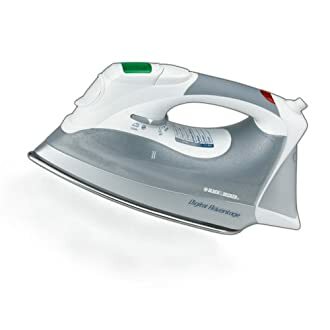 A quality iron will produce an even rate of steam without spitting and dribbling. A shot-of-steam feature comes in handy to get rid of a particularly stubborn wrinkle or to set a crease. This usually appears as a button that you press to produce a short, heavy blast of steam. Some irons only produce steam when they are horizontal while some have vertical steaming capabilities. The vertical steam feature lets you steam and freshen clothes while they’re hanging. Vertical steaming with the shot-of-steam feature is a particularly useful combination. When you find a steam iron that has the features you want, check to see how easy the controls are to operate. The temperature and steam settings may be operated by dials, buttons or digital controls. Controls are found in different places on different models of irons. Individual factors like the size of your hands and the length of your fingers may make some configurations easier or more difficult for you to manage. Controls that are directly under the handle are particularly awkward for some people. You don’t want to have to wrestle the iron every time you change a setting, so be sure the one you choose is easy for you to operate. Although it’s called self cleaning, you manually activate this feature. It sends one or more heavy blasts of steam through all the holes on the sole plate. This acts to remove bits of hard water buildup, lint and any other debris that may have collected in the holes. This is a nice feature, but most people don’t consider it a deal breaker when they’re shopping for a steam iron. Most modern irons have an auto-off function. 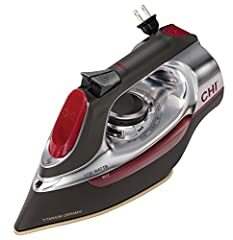 Although there is variability among models, an iron that turns itself off after about eight minutes when it’s upright and about 30 seconds when it’s horizontal is typical. Auto-off is a “love it or hate it” feature for many people. You’ll like it if you tend to worry about whether you turned off the iron after you’ve left home. It’s also great if the iron is often used by other people in your home who tend to forget to turn it off. Do keep in mind that auto-off is a safety feature, not a convenience feature. It shouldn’t be used as an excuse to leave the iron plugged in or turned on. You won’t like auto-off if you want to purposely leave the iron on. It can be maddening if you iron a few things, take them to the closet to put away, come back to iron some more, and the iron has turned itself off. Auto-off irons are the particular bane of people who sew. 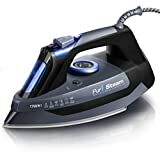 It is possible to find steam irons without this feature across the price range, but you’ll have to look a little harder for them. 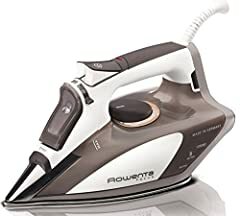 A retractable cord isn’t common on steam irons, but it is available on some. It’s tidy for storage, and it keeps you from accidentally getting tangled in the cord and pulling the iron off the shelf or table. If you can’t test a retractable cord before you buy the iron, test it at home. You want to be sure that it has a secure stop, so it won’t try to retract while you’re using the iron. If you iron frequently, and many of your clothes are natural fibers, look for the following features in a steam iron. • Heavier than average. • Large water reservoir. • Wide range of steam settings. • Shot-of-steam feature. • Vertical steaming. 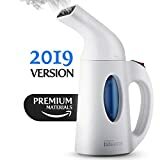 • Higher number of steam outlets. 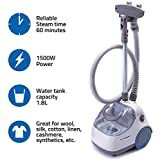 If you rarely iron, and most of your clothes are lightweight synthetics, a lower-cost steam iron with the following features may be satisfactory. • Lightweight. • Small water reservoir. • Small range of steam settings. • Few steam outlets. The following features are largely a matter of personal preference. • Self-cleaning. • Auto-off. • Location of controls. • Retractable cord. New: Our editorial list of additional articles. 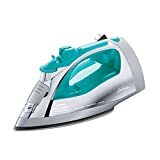 We decided to gather informartion all around the internet and present you a list of helpful, external links to interesting reads about the best steam irons for clothes and their reviews and guides. You're not convinced by the previous writings about steam irons for clothes? Of course you can just choose by visual impression, that's why we present you all our chosen products at a single glance. A click on any image is enough to open an external link to the best offer we could find. Finally, we want to present you our rating criteria for our steam irons for clothes comparison, so you can better understand and comprehend our recommendations and the rating process itself. 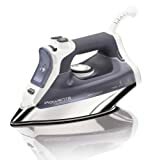 Furthermore, we still ask you to keep your eyes open for short term deals in order to make some great bargains with steam irons for clothes in 2019. Published by G. Krambs on StrawPoll.com (last update on 2019-04-19 08:13:59). 22 of 26 readers found this article helpful.